Q: I’m interested in a Management System Manual. Who can I speak to for more information? Q: Prices over the internet are indicative. How can I get a better price or discount ? A: Please fill in the Quotation Request form electronically and we will get back to you with all the necessary details within same/next business day. You do understand that all Management Systems documentation need to be tailored to exact client needs and unless we do not have the necessary information in hand we may not be able to quote time and money wise. A: By accepting an SQE quotation, actually by signing and returning to our office this quotation by any mean. All our business is conducted in writing. Q: Is the manual that I am expected to be delivered a Company Specific ? A: YES as applicable, i.e. in line with information and instructions provided by your end. Q: How am I going to deliver the ordered documentation ? Q: Are the samples available on the web properly representing the manual I am expected to be delivered? A: Yes, to the extent possible. For Example any Management System Manual may be downsized or further upgraded by tuning the amount of company or vessel type specific information to be incorporated in the manual. Q: What Kind of Access do I Have to the Experts that are preparing the documentation ? A: You’ve got great access! 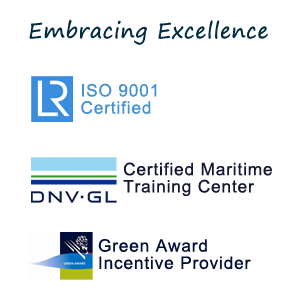 Our experts are available by phone or e-mail as usual. Q: What are the deliverables at the end of the project ? A: It depends on the format chosen as indicated in the product page. 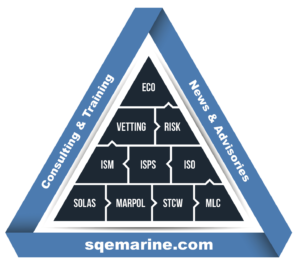 Q: Are the manuals updated to the latest legislation and marine practice available? A: YES, to the extent possible and in line with information and instructions provided by the client. Exact legislation that the manual complies with is available at the top/cover page of the respective manual and/or documentation. We are always updating the documentation as necessary and there may be further updates required to specific manuals, subject to updates issued accordingly. Q: What is the info required from the Client side in order to develop a management system manual ? Q: What is the process when you start working to develop and deliver a manual ? SQE Finalises documentation and inform Client to collect from SQE front desk or providing instruction for a web download according to client preferences. 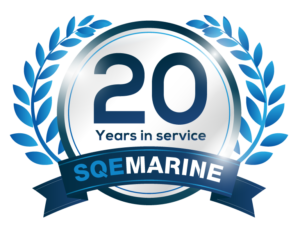 Q: In case of a manual approval is required what exactly is SQE’s role ? A: In case approval is required SQE shall liaise and co-ordinate with Flag/Class or other organization as may be advised from the client. As a result full follow up of the case will be provided till final documentation approval.